Chicago is the third largest city in the United States - home to the fourth most Fortune 500 corporate headquarters, including Boeing and McDonald's. Here is a breakdown of some of Chicago’s most bustling neighborhoods and what sets them apart. The Loop - Chicago’s loop is defined as the loop around our “El” - the elevated tracks. West Loop & Fulton Market - The West Loop is one of Chicago’s most growing neighborhoods - just on the edge of downtown Chicago, many small businesses have found space in former factories and warehouses. East Loop - The East loop - down Michigan Avenue to Jackson Boulevard - has seen a dramatic revival in the past few years, with new retail space growing along State Street and new residential developments. It is an up and coming area for office space as well. Central Loop - This hub consists of Historic La Salle street and is central for the banking and law district. The Central Loop attracts law firms that need to be close to the downtown court house. This area is also the theater district, so it's great for small businesses entertaining their out-of-town clients with shows after work. South Loop & Chinatown - The South Loop is continuously up and coming as a neighborhood in Chicago and has affordable loop office space for small businesses that won’t break the bank. Much of the South Loop office space sits on green space on the lakefront and has a great view of Grant Park - which is known as “Chicago’s Front Yard,” and is near Museum Campus - including the Field Museum, Adler Planetarium and Shedd Aquarium. 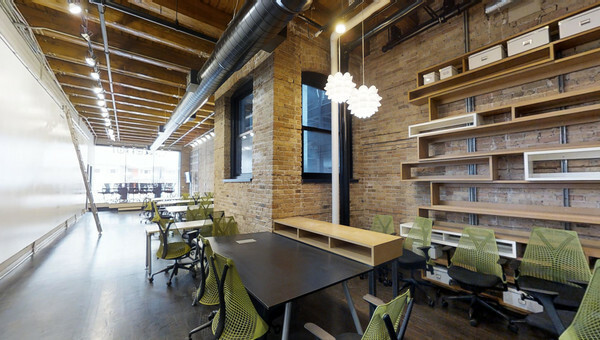 With a variety of booming Chicago neighborhoods, we’re certain that you are able to find the perfect loop office space for your small business. Are you ready to start your Chicago loop office space search? We’re here to help! 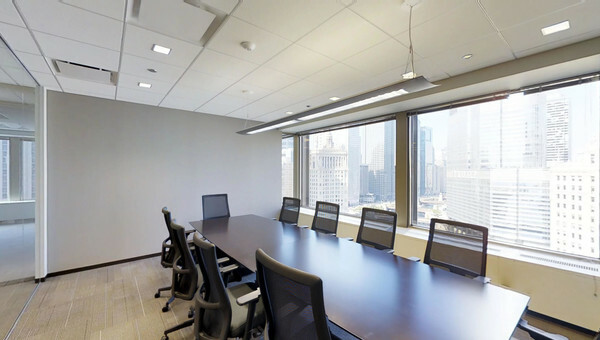 Not only are we the only commercial real estate company for tenants that offers virtual reality tours, but our artificial intelligence technology makes the search for loop office space easy and convenient. Start your search today!